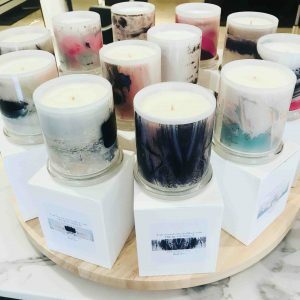 Candles have become a popular addition to most home decor throughout Australia and today we have uncovered some Designer Candles By Sarah Jane that are like no other soy candle. This collection of Designer Candles really make a mark when it comes to interior styling your home. They not only ignite your senses from the scented aromas but they provide beautiful visions of modern art on the glassware. 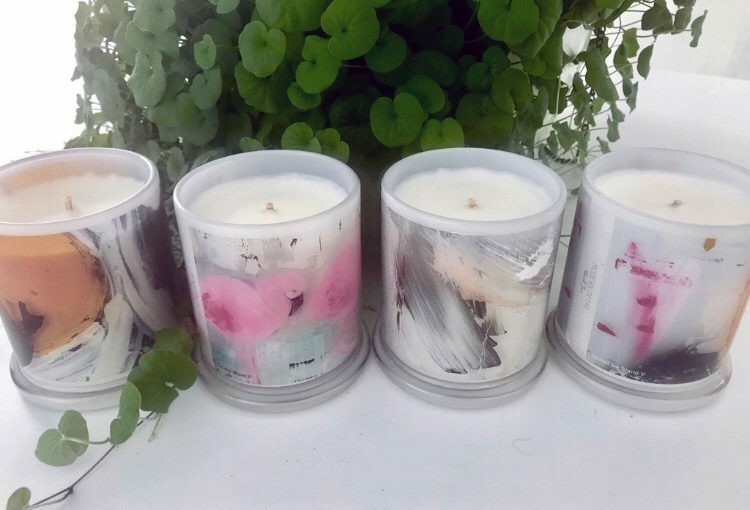 A small range of Contemporary Artworks by Adelaide Artist Sarah Jane have been selected however on request Sarah Jane is happy to accomodate any of her modern artworks if a custom candle is required. Designer Candles By Sarah Jane are handmade in Australia and contain 100% Natural Soy Wax in a choice of Vanilla or Coconut and Lime Scents. The great news for those that are health conscious is being that they are all natural there are no heavy metals, paraffin, or artificial colouring in our Candles. Best of all though and we have left this till last, is that once lit, the artwork gentle begins to illuminate as the candle burns down providing a spectacular ambience. If you just love the artwork showing permanently and don’t want to wait for the candle to burn down to expose more and more artwork, candleholders are also available. These showcasing the artwork from the bottom up when a tea light is used and are truly magnificent.